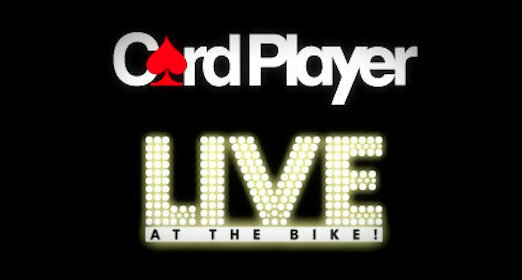 Card Player is excited to announce a partnership with the Bicycle Casino and “Live at the Bike,” the industry’s leading live cash game webcast. Starting Feb. 27, CardPlayer.com will host the live cash game streams for all Live at the Bike webcasts (every Thursday and Friday, 7:30-10:30 p.m. PST) and also partner with Live at the Bike for special programming. 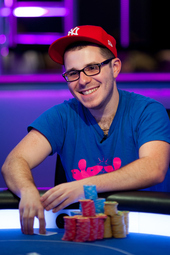 Today’s special broadcast, which begins at 5:30 PST, will feature top players such as “Weeds” Executive Producer and World Poker Tour Season XI POY contender Matt Salsberg, 2012 Card Player POY runner up Dan Smith and Dan O’Brien, who’s won over $2 million lifetime in tournaments. Other top players, celebrities and well known Live at the Bike personalities such as Barry “Don’t call me Greenstein” Woods, “Corporation” Mike LeBlanc and Harry Arabian are locking up seats as well. With this line up, the action will be fast paced and huge. Live at the Bike is in its seventh season at the Bicycle Casino. It’s the only poker web stream where any player can put their name on the board and play live to a global audience. The show, which details what actually happens at the table level of cash game poker, had developed a loyal following over the years. While tonight’s commentary will be provided by accomplished sports and WSOP commentator David Tuchman and Card Player columnist Bart Hanson, 2006 WSOP POY Jeff Madsen, 2011 WSOP Stud-8/Omaha-8 champion Owais Ahmed, 2009 WSOP last woman standing runner-up Nichoel Pepe-Jurgens and 2008 triple crown winner Gavin Griffin round out the commentator team. It’s like getting a private poker lesson, watching a sitcom, and, through the interactive chat room, hanging out with friends, all rolled into one. Watching will make you a better player. During today’s special broadcast, Mo Fathipour, Tournament Director at the Bicycle Casino, will also stop by to announce details of the upcoming Card Player Poker Tour stop, which will take place at the Bicycle Casino from May 23-June 1. The main event offers a new type of structure guaranteed to build a huge prize pool, so make sure you get in on all of the details.